Fantastic north-facing, double-storey home with fairway position. All four bedrooms are upstairs of which 2 are en suites. Ample living area downstairs including open-plan kitchen, dining room and lounge with fireplace. A second living area and a study or games room allow for choice and space. 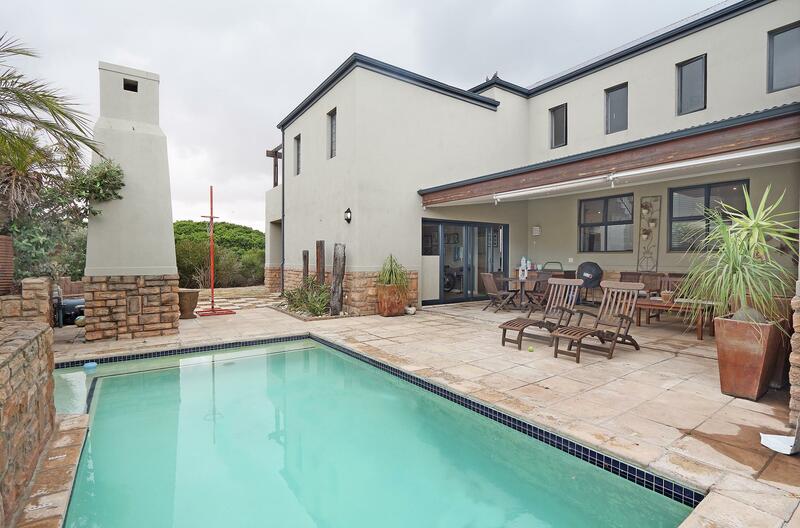 Large garden with a north-facing pool and braai. Staff accommodation and a separate storeroom complete this home. Joint Mandate. Melkbosstrand is a coastal village and beach located on the Western Seaboard of the Western Cape, 35km north of Cape Town city centre. It is a lovely seaside resort offering excellent coffee shops and restaurants in a beautiful environment. Atlantic Beach Estate offers residents a lifestyle that includes access to an 18-hole links style golf course, a leisure centre with a swimming pool, tennis courts, braai facilities and a professionally run fitness centre. A state-of-the art security system make Atlantic Beach Estate a secure and safe environment to live in. 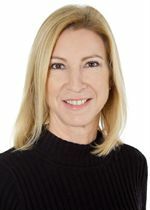 Mandy Oschman is the Accredited Agent for Atlantic Beach Estate and Resident agent.